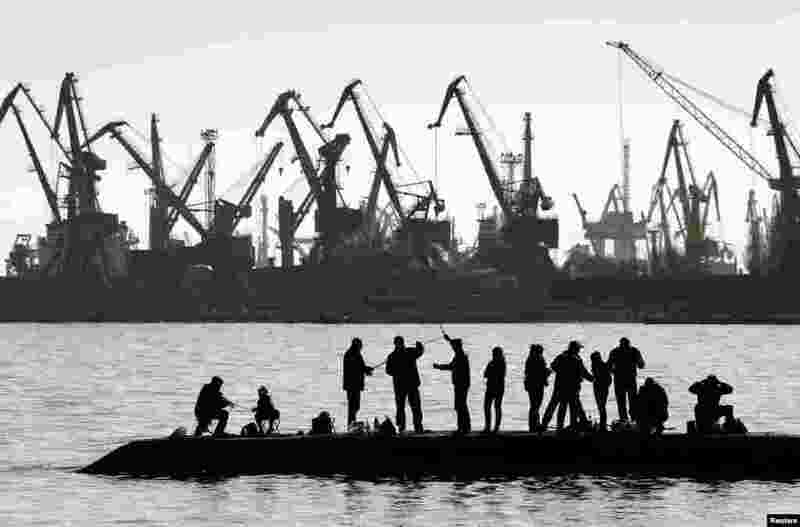 ۱ People fish on a pier at the port of Mariupol, located on the north of the Sea of Azov in eastern Ukraine. ۲ A woman tries out the Virtual Style Pod/Fashion 3D system at the FLux Innovation Lounge in east London. The technology uses body mapping software to superimpose items of clothing onto the customers body so that he or she can try on different styles without having to change clothes. The cameras track the customers movement, allowing them to see how the clothing moves from all sides and angles. 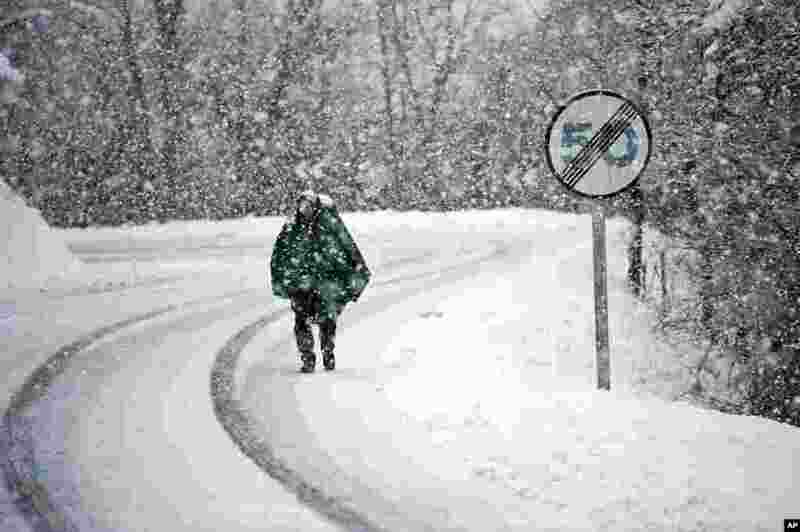 ۳ Antonio Lazza, a 60 year old pilgrim from Italy, walks alongside the road of Saint James's Way during a snow fall on a Spring morning near the Pyrenees town of Erro, northern Spain. The Saint James Way is a pilgrimage route ending in Santiago de Compostela that attracts people from all over the World. 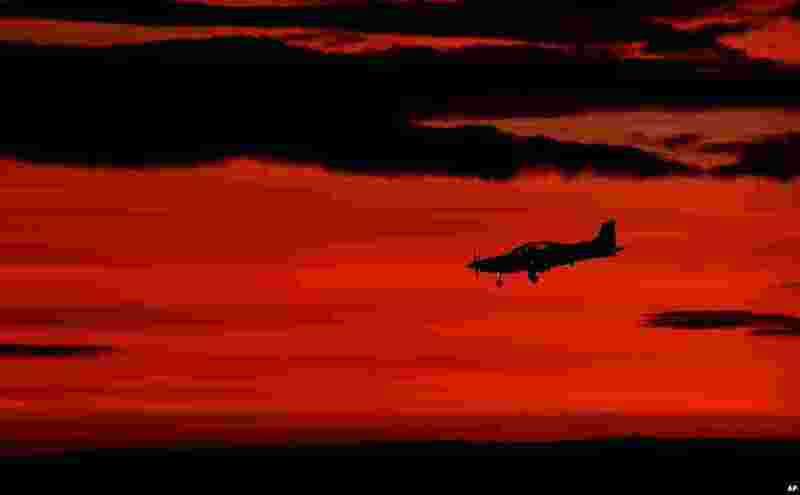 ۴ A Pilatus PC-9/A comes in for a landing at RAAF Base Pearce in Perth, Australia. RAAF Pearce is accommodating six nation that have joined Australia, New Zealand, U.S., Japan and Korea making this join venture one of the largest maritime search operations in history to find debris from the missing Malaysia Airlines Flight MH370 . 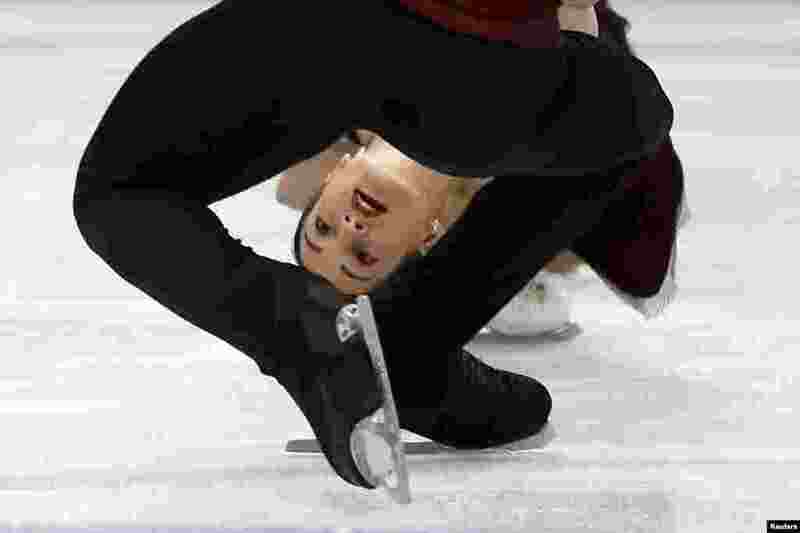 ۵ Russia's Ksenia Stolbova and Fedor Klimov compete during the pairs short program at the ISU World Figure Skating Championships in Saitama, north of Tokyo, Japan. 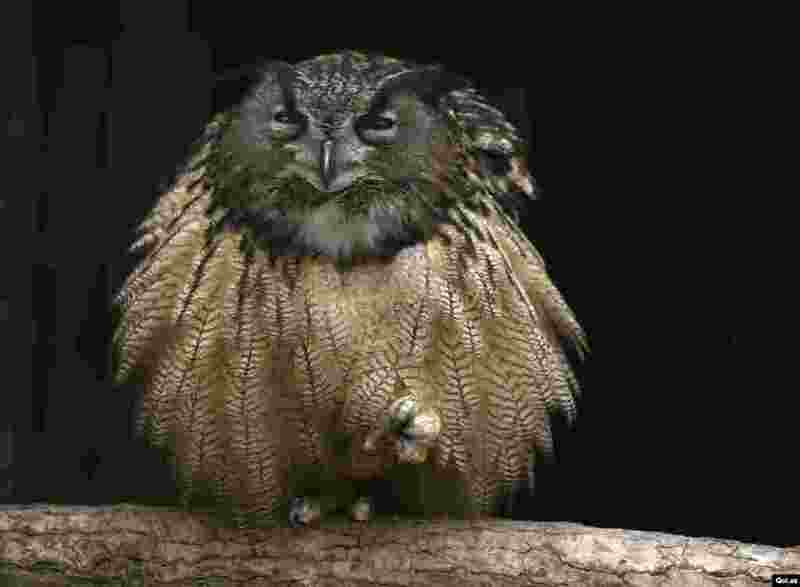 ۶ An eagle owl fluffs out its feathers as it sits on one foot on a branch in its enclosure at the Grugapark in Essen, Germany. ۷ Wind-driven waves come ashore in Scituate, Massachusetts. 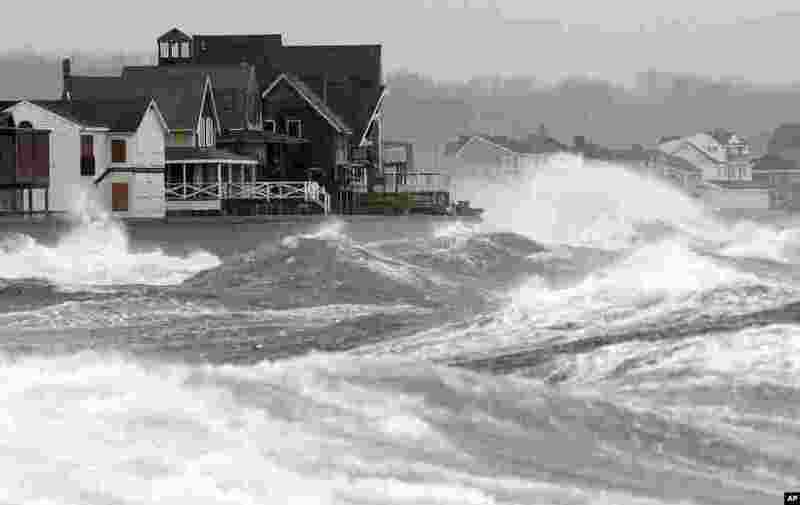 Cape Cod and the islands were expected to bear the brunt of the spring storm that struck full force. 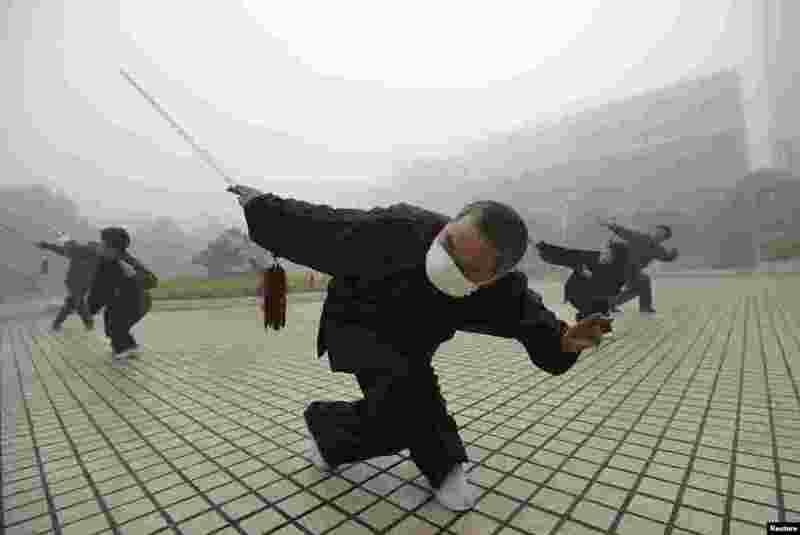 ۸ A man wearing a mask exercises on a hazy morning in Fuyang, Anhui province, China.